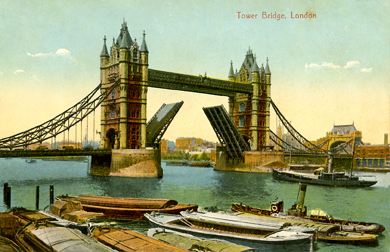 Still hangin around old London town..
but due to ship out tomorrow. The recording sessions went well and we picked up a gig last weekend at the Bulls Head Pub where I saw Barbara Thompson and her band back in the summer of 1978. It’s still a really small place. Both Hank and Harold have been working on some new tunes that we sandwiched in at the gig and they went over well. The audiences so far this tour have been just wonderful and I can’t say enough about everyone’s hospitality. I would like to say a word about the recent work my musical buddy Dave Stafford has been doing to bring the website at http://www.pureambient.com to a new level of excellence. Please go visit there and check out the evolving world of music, images and words that he’s assembled and while you’re there grab a free download of musical samplings from the label. I hope to get up to see Dave in Scotland next time I’m this way, but meanwhile my hats off to him and Ken Mistove for all their hard work. I’ll post you folks when we get to the next destination on this musical adventure, thanks again for checking in and listening to the At-The-Helm podcast series. I’m hoping to gather together enough material soon to put a new show up, I’ll keep you posted. Thanks again to the Twisted Papers boys for the great travel images used in this “tour” blog. Have a good day. and strangely enough it’s not the final “all talk” episode that was promised. That show is still in the works, I’ll let you know when it’s finished……in the meanwhile. This show is a live solo “in studio” performance from August 20,1997 of a piece called “Liquid Center”. Taken from the original master tape, no edits, no MIDI, no “undo” functions, only samples are from the PCM drumbox. This is the third take in it’s entirety, recorded in my home studio. Originally released in 2000 by Studio Seventeen Productions.Performed and recorded by Bryan Helm, all rights reserved by the artist. Thanks to SJ and the boys of summer( including Tom G.) for their inspiration and support. For more info go to at-the-helm.us and click on the icon for “Liquid Center” at the bottom right of the page. Many thanks to those of you who have taken the time to listen to this series, I hope you’ve enjoyed what you’ve heard. FYI this show runs 50 minutes and 44 seconds. As always your comments are welcome, have a good day. Performed and recorded by Bryan Helm. All rights reserved by the artist. Tracks 1,2 and 6 contain samples of recorded works by other artists, used here without permission. For more information please visit at-the-helm.us and follow the links. Thanks for listening, next show is all talk and will cover aspects of information from all the music only shows and a couple of other things , so please do tune in. Photo from RMNP looking upstream circa 2006. Performed and recorded by Bryan Helm. All rights reserved by the artist. Tracks 4 and 7 feature samples of other artists recorded work, used here without their permission, with my apologies and thanks to those musicians. For more info on this series please visit www.at-the-helm.us Thanks for listening! 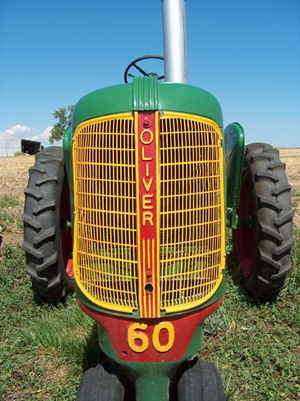 More very soon, meanwhile another photo from the antique farm equipment show of a couple years ago. For a more detailed equipment listing for these recordings please visit at-the-helm.us and click on the thumbnail image for the “Distant” CD. All music copyright 1998 Bryan Helm/Dave Stafford. All rights reserved by the artists. Engineered by Dave Stafford. 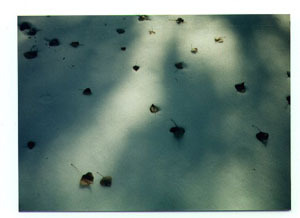 Photo of leaves on snow circa 1998. ..is now uploaded for your listening pleasure. This is an all solo show starting with one last track from California then moving on to six selections from 1996 recorded in Colorado in my basement studio. All tracks performed and recorded by Bryan Helm live to tape except #4 which has a live keyboard over a taped 11 string guitar track (free range tuning). All rights reserved by the artist. Please note starting times for tracks now listed for episodes #17 and up. 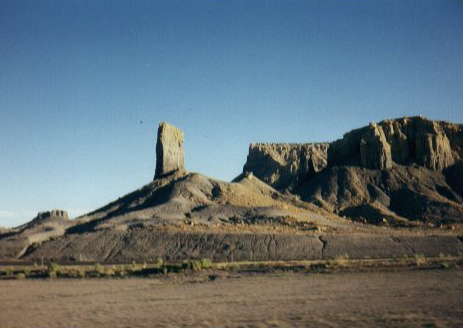 Photo from near the Nevada/Utah state line August 1995. Today is my 50th birthday so sicerest thanks and best wishes to all those who’ve taken the time to enjoy this series so far, I look forward to completing this musical tour of my past as this year winds on. Please have a great weekend and look for more here soon. At-The-Helm Episode 19 is available…..